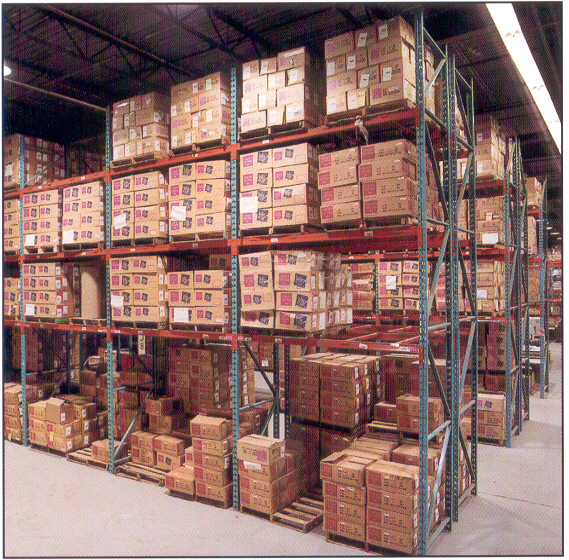 Selective racking is the cheapest, most economical storage solution. This style of racking is readily available and can free up your valuable floor space. 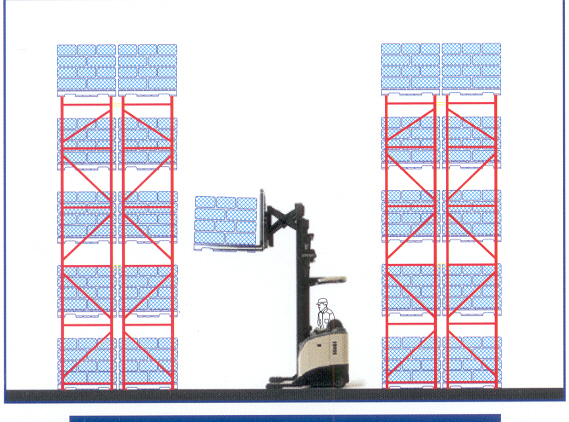 Advantageous for high SKU counts, with pallet in / pallet out or pallet in / case out movements. Excellent selectivity - every pallet has a facing. Flexible - no specialized lift trucks required. Maintains FIFO ( First in, First out ). Considerable savings over floor stacking. More space intensive than other systems.